Burglary is a serious crime but at Access Denied as professional Burglary Locksmiths we can help improve your home security. We can also help in the event that you have already been burgled. Age: If your locks are old there is a good chance they aren’t fit for purpose anymore. They could be rather easy targets for criminals with an interest in gaining access to your property. Access Denied Burglary Locksmiths can make sure your locks are brought up to date. Wear & Tear: Your locks may be NEW but if they aren’t performing as they should be or the door they’re on is not seated properly your locks could be wearing down and could be providing access for criminals. Burglary locksmiths with Access Denied will fix this issue for you. Spare Keys: Have you recently moved into the property you’re in? Did you check to make sure the locks are NEW? Whenever you move to a new property for peace of mind you should consider new locks to go with it. Access Denied Burglary Locksmiths can provide full locks to the whole property or even new UPVC doors if required. Extended Breaks: Are you planning to take an extended vacation or just break from the home for a few days. If so it is recommended to have Burglary Locksmiths check your locks and make sure they are fit for purpose. As industry professionals Access Denied Burglary Locksmiths can come to your home to isolate what work needs doing, our burglary locksmiths team can then work hand in hand with you to make sure your house or business has the best options. The team can discuss all options with you before you choose to use them for best cost / service. Our staff will never recommend work you don’t need to have done and will always show you what they are doing so you know what service you’re getting. Out staff will always strive to find you the most cost effective option and will tend to beat quotes from other local locksmiths. In the event of a burglary at your home or business you will need a Burglary Locksmith, call 07534 277020 and we will come to your property and get you secured within 30 minutes of a call. 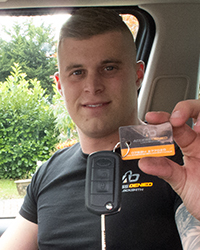 Our dedicated and friendly team will make sure that they swiftly provide a full security locking solution that will be industry leading and covered with a full year’s warranty.